The microAptiv cores also have higher performance than competing converged microcontroller/DSP solutions in their class, delivering 1.7 DMIPS/MHz, and 3.44 CoreMark/MHz in microMIPS mode. 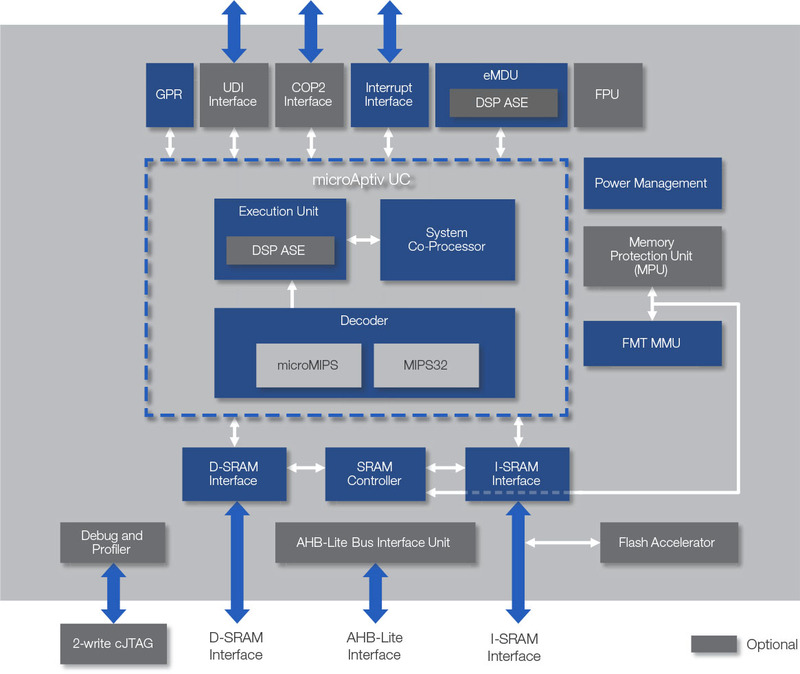 A cache-less implementation and superset of the MIPS32® M14K core for microcontroller applications. A superset of the MIPS32® M14Kc core with a cache controller and a Memory Management Unit (MMU) to facilitate embedded systems designs executing rich operating systems which manage virtual memory. 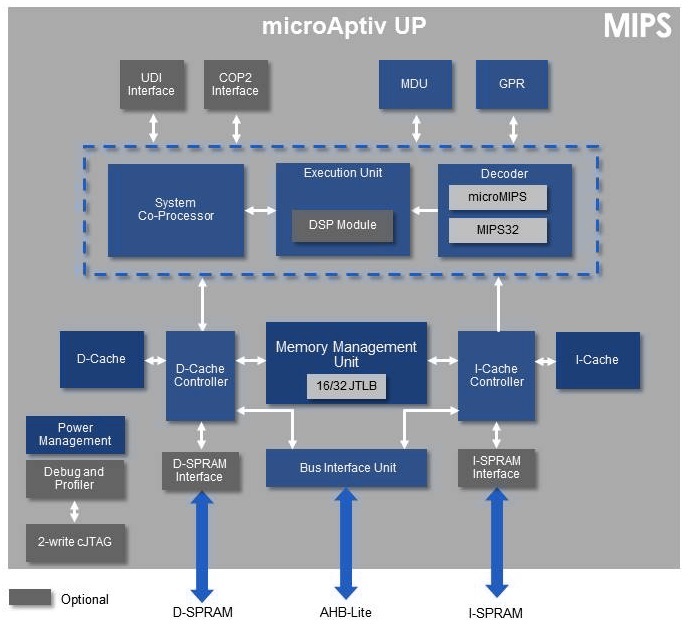 The microAptiv cores are enhanced with the addition of the MIPS DSP Application Specific Extension (ASE) release 2. microAptiv cores retain all of the features available in the M14K core, including the microMIPS code compression ISA and MCU ASE which deliver real-time performance and cost advantages in the development of microcontroller and embedded systems designs.